Our marine baseline surveys focus on coastal (intertidal and subtidal) ecology, including habitats and species as well as the physicochemical factors which define them. 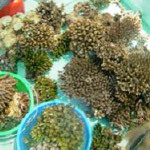 Typically these surveys include coral communities, seagrass, mangroves, intertidal beaches and mudflats, as well as more specific taxonomic and population surveys of invertebrates, fish, turtles, cetaceans, seabirds, infauna, phyto and zooplankton. We also undertake seawater quality and sediment quality surveys for physico-chemical and ecological investigations for baseline and monitoring programmes, including the use of calibrated multi-parameter probes, Niskin samplers, van Veen grab samplers, and the deployment of temperature logging equipment and current meters. Our surveying techniques are all conducted according to international and regional standards (e.g. AIMS, USEPA, MOOPAM, PERSGA) and we ensure that all chemical analyses are performed by internationally certified and accredited laboratories. We are also involved in habitat recreation and creation, including the development of artificial reefs and the establishment of mangrove habitat. This work includes the planning, implementation and monitoring stages of programmes. Our team undertook a marine habitat survey of the environment adjacent to the proposed Shangri-La Barr Al Jissah Resort and Spa. The resulting data was used to inform the Environmental Impact Assessment of the Project and specifically identify the impact of the Project on coral communities. Part of this development included the construction of a new marina which would involve the loss of existing coral habitat. 5OES used the collected data to identify which coral communities would be impacted by the development and devise and implement a mitigation strategy to safeguard the presence of corals in the area following construction of the Project, which included translocation to a donor site. 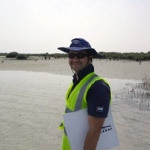 Our team has led the development of a mangrove translocation and habitat recreation project to mitigate impacts to mangroves caused by the construction of the new Doha port project. The project has involved the identification of a suitable recipient site and development of the first mangrove nursery in Qatar. The work has required the removal of 5000 mangrove seedlings from the wild and growing 3000 seedlings in a mangrove nursery. These seedlings have been planted at the recipient site and the success of the project will be monitored by our team over the next few years. Our team was commissioned by URS Scott Wilson (UK) to provide specialist advice on marine mammals, sea turtles and fisheries related to the development of a new port and industrial zone development in Port Gentil. 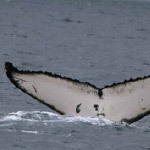 In this role, our team has undertaken seasonal surveys for sea turtles and marine mammals (particularly humpback whales), which has included visual and acoustic monitoring. Our team was employed on this project due to the specialist advice we could bring related to our long term monitoring of species of concern at the site.